It’s Wednesday which means we’re getting closer to the longgggg weekend ahead, Daarik and I can’t hardly wait! But then again, who doesn’t love a long weekend?? We have quite the weekend planned for ourselves including friends, family and for me this Ily Couture top which I’m obsessed with (literally the most comfortable/softest t-shirt ever made). 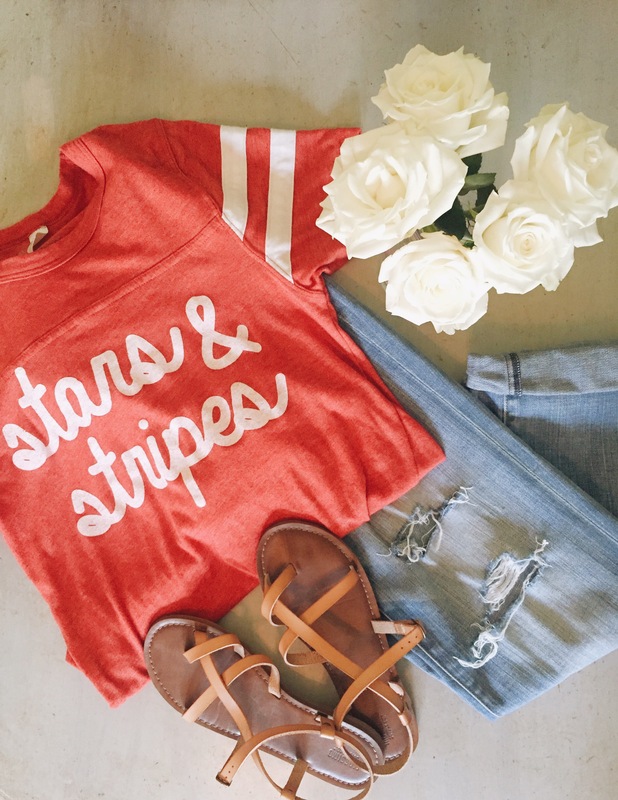 I bought this top for the Fourth of July and love it so much, why not wear it again for Labor Day!? Be sure to check out Ily Couture’s website, it’s loaded with some of the cutest clothes for all ages, male and female and it’s not just a t-shirt site either, they have everything! Anyway, I hope everyone has a safe and fun weekend! We’re going to red, white and boom on Sunday and we’re pretty excited- who doesn’t love a good outdoor concert? !